Oh how real those roses seem to be." Hi there and welcome to another crafty springtime tutorial. 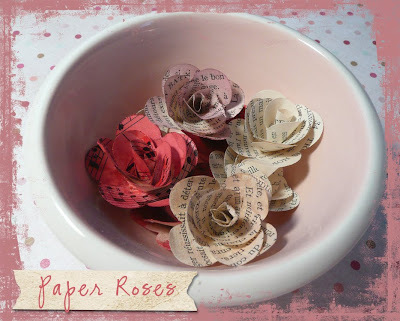 A couple months ago I posted a pic of a project on my blog in which I used some handmade paper roses. I had lots people ask me how I made them, so I thought I would do a tutorial here on Joli Paquet and show you the step by step process. 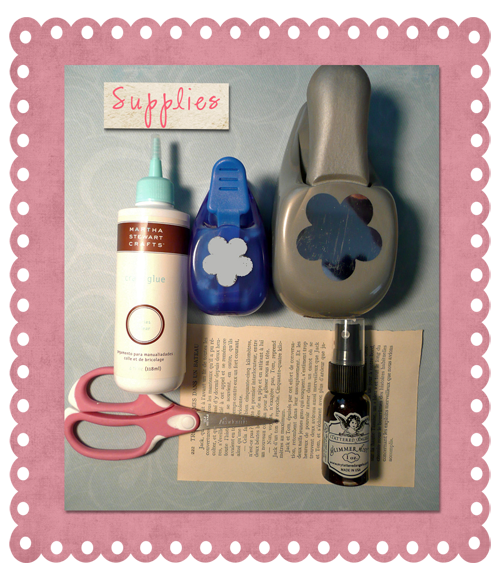 Here are the supplies you will need to complete this project. It really doesn't take very much at all. 1. 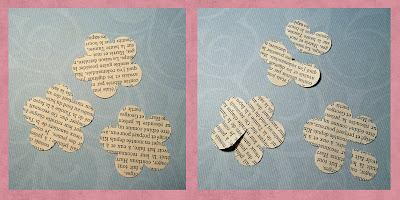 For each paper flower you will need to punch 3 flowers from the pages of an old book. 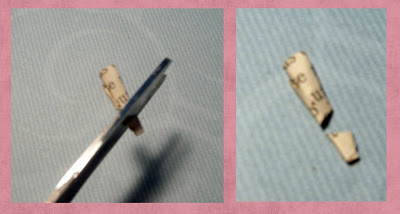 Using a scissors, cut the flowers as shown in the photo on the right above. Hang on to all the flower parts, because we will be using all of them. 2. 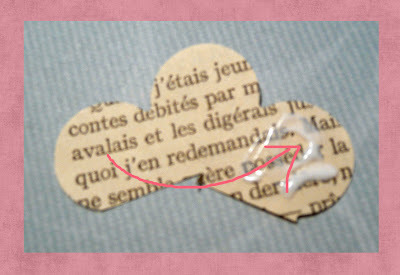 Using a white, clear drying craft glue, apply a little bit on the petal as shown above. Next place the petal next to it on top of the petal with the glue (see arrow above) and you will end up with a 3-dimensional four petal flower. 3. 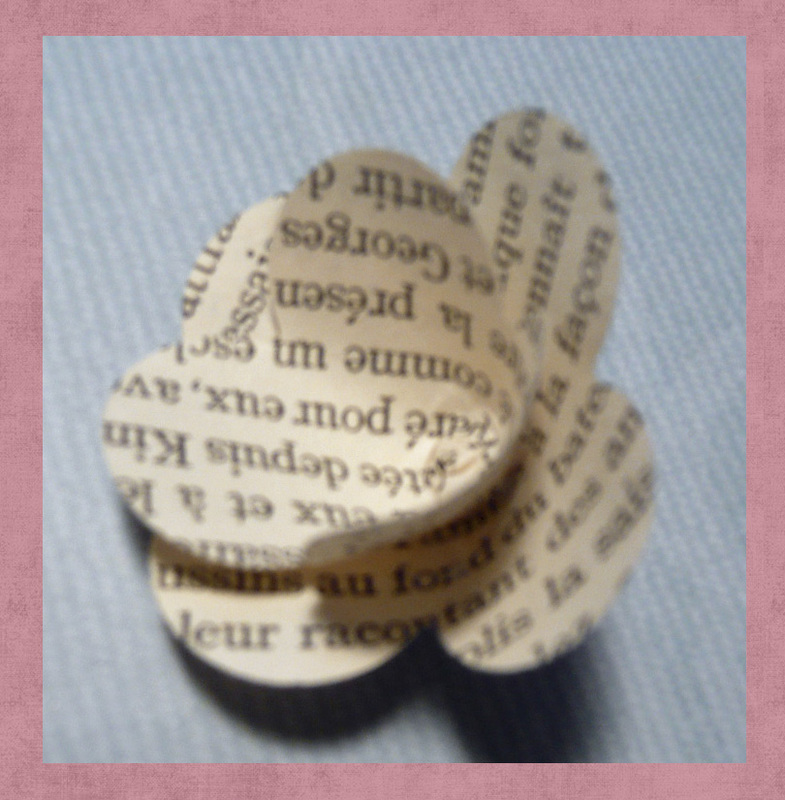 Next we will work on the flower on which you cut off one of the petals. Follow the steps above, putting glue on the one petal and bringing the other petal on top of it (see arrow above) and you will end up with a 3-dimensional three petal flower. 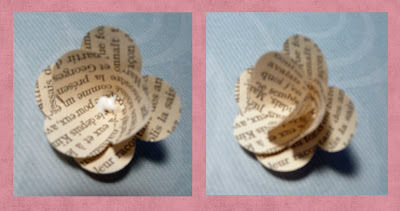 last flower and place it on top of the petal with the glue. You will end up with a cone shape 3 dimensional flower when you are done. 5. 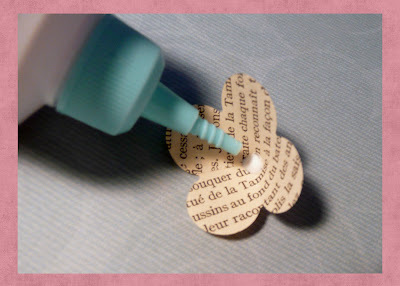 Apply a dab of glue in the center of the four petal flower. 6. Take the three petal flower and gently flatten the pointy end on the bottom so it will be easier to glue inside the four petal flower. Your flower should look like the one pictured above at this point. 7. Repeat step 6 with the last 3-dimensional flower. Your flower should now look like the one in the right hand photo above. 8. For the two remaining flower pieces, roll each of them tightly into a tapered tube-like shape and apply glue to the end to secure. 9. Snip off the end of both of these flower parts to make them a little shorter. These two pieces will form the center of the rose. 10. Glue both of these rolled up flower parts in the center of the flower. 11. Once the glue has dried, you are ready to add some color to your flower. 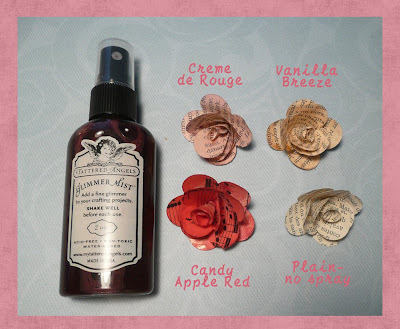 I used Glimmer Mist because I like the soft colors and the shimmer this product adds to the flowers. But any type of spray-on coloring agent will work. Just be sure to test it on a sample piece of paper because the intensity of color varies from brand to brand. Pictured above are some of the colors I have used when making my paper roses. 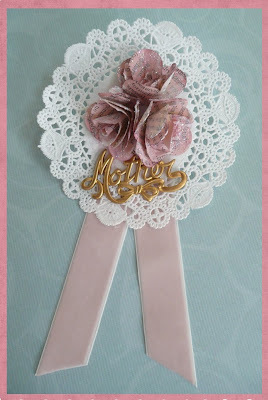 You can also try applying the color before putting the flower together for a different look. These flowers can be used in a multitude of ways. 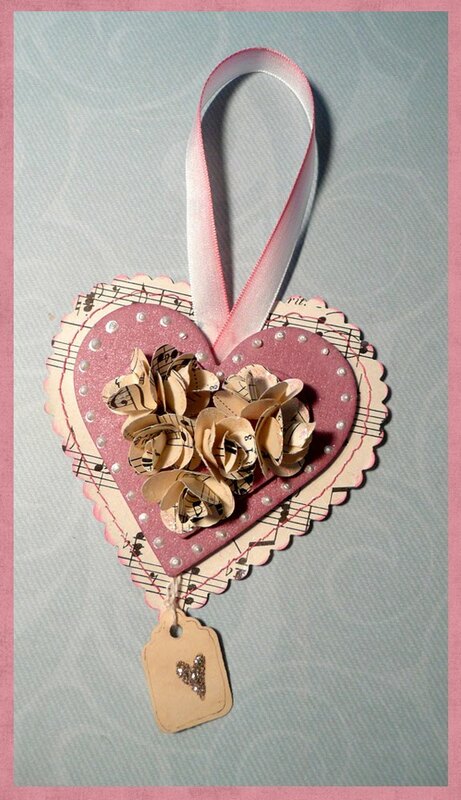 Pictured above is a hanging heart I made earlier this year. 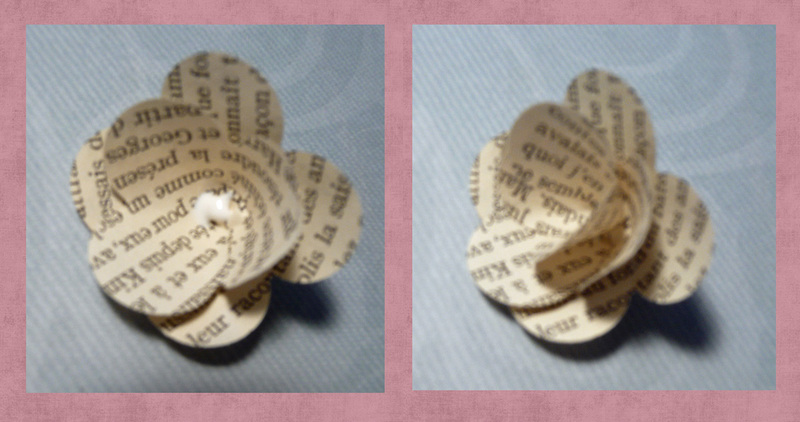 I used a tiny flower punch to create these smaller size roses. 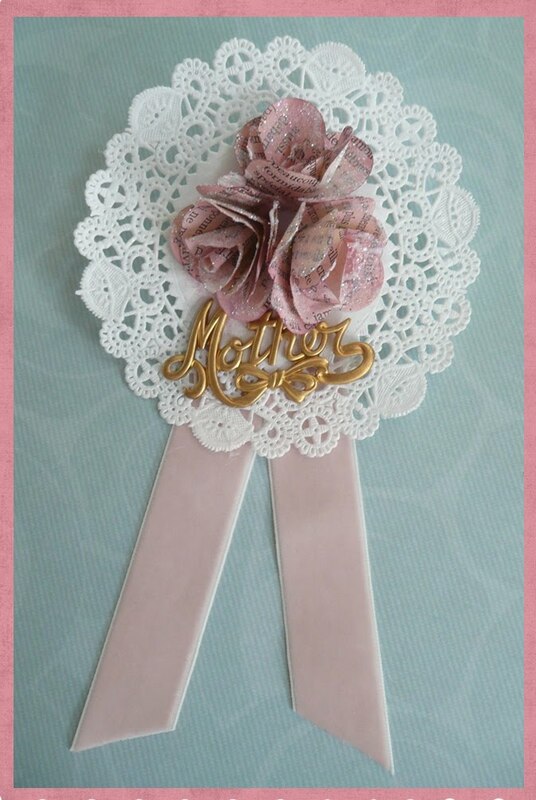 What fun it would be to add this to your Mother's Day gift wrapping. 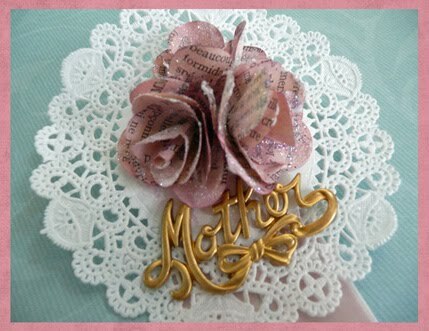 Use three of the larger roses to create this paper corsage for Mom or Grandma to wear on Mother's Day or use as an embellishment on a gift bag. 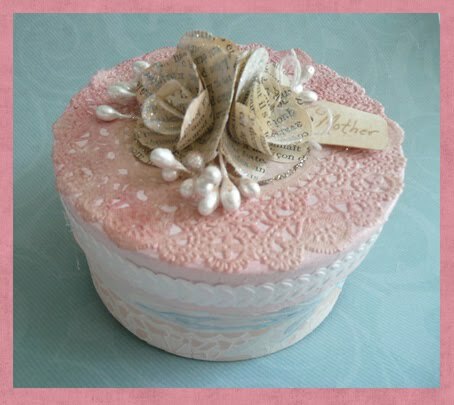 Here I covered a paper mache box with vintage wallpaper and a paper doily to create an adorable trinket box to give as a gift this Mother's Day. 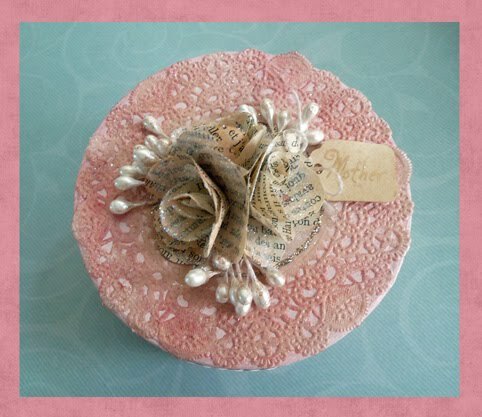 I used three large natural glittered roses in the center along with pearl stamens tucked in between the flowers. A tiny paper tag finishes off the box. I'm sure you will have lots of fun making these paper roses and will find many uses for them in your artwork. 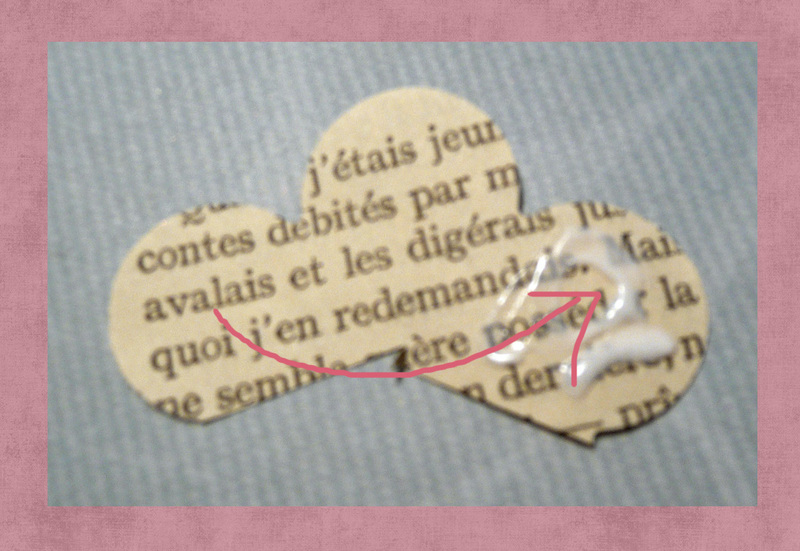 I'd love to see what you create with them, so be sure to add your photos of this and any other Joli Paquet projects to our Flickr site here. I have been making these too but your way is sooo much better! Your tutorial is excellent! I love all the aqua and pink. They are my favorite colors. Now I need to get my hands on some of that glimmer mist. These are the cutest little things ever. 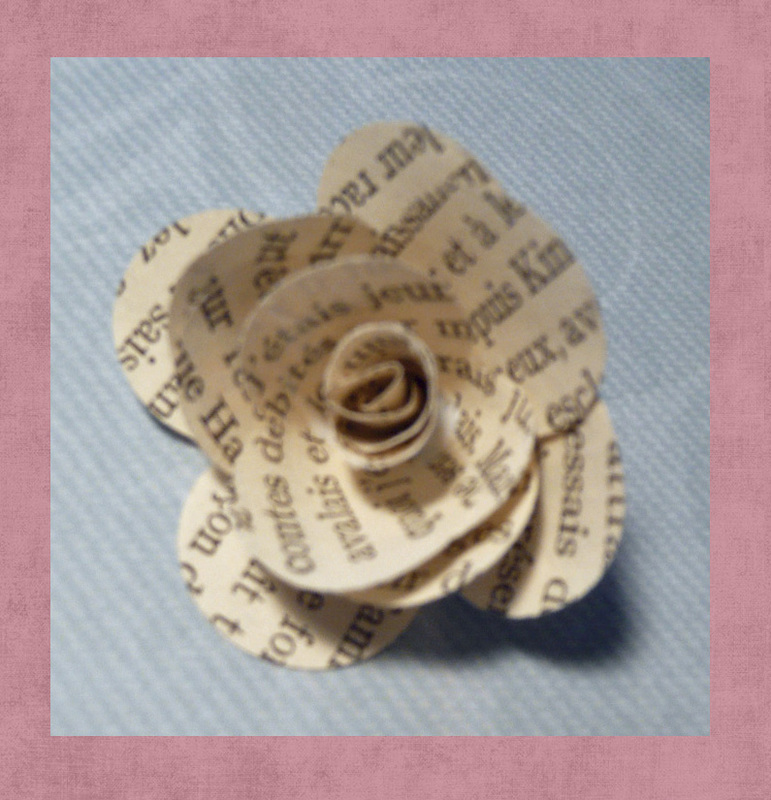 Flowers are all the rage today and made of every conceivable material. I want to try them all. Thanks for sharing. Mollye. I think I'll try some food coloring on mine. That food coloring idea sounds great. Just a drop in a spray bottle would probably do the trick! Thanks so much for sharing (again)! These are so nice, can use them on just about anything! Thanks for showing these, Jeanne! I can't wait to make up a batch!! These are just great Jeanne! Thanks so much for sharing your talent with us!!! Wow, thank you so much. Those are precious. Yep, this blog has officially become my favorite for tutorials. Thank you so much for sharing Jeanne. 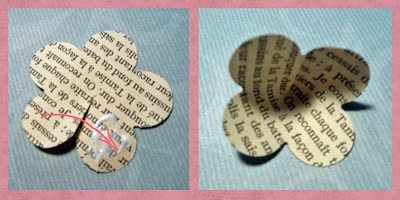 I have been looking for flower punches like these EVERYWHERE! Do you know where you got yours, or what brand they are? This tutorial is FABULOUS! The flowers are sooooo pretty and look incredibly easy. Can't wait to try- thank you so much for sharing your secrets! Jeanne great tutorial, thanks for sharing. Thank you SO much for sharing this how-to. I have been wanting to make these for a Looong time! I should have known you would know!! I look forward on wednesdays mornings to see what you have for us thats is new and exciting . popping over from becky shanders link on crescendoh...what a wonderful tutorial. thank you so much for sharing your knowledge.